Electronic Arts Inc. and Respawn Entertainment launched Apex Legends, a free-to-play battle royale shooter available right now on Xbox One, PlayStation 4 and Origin for PC. Set in the Titanfall universe, Apex Legends shakes up the battle royale genre with a cast of unique characters, squad-based gameplay, innovative mechanics and more. Apex Legends delivers a squad-based battle royale experience with a uniquely Respawn flavour. Players will select from one of eight Legends - each with their own unique abilities and playstyles - and the last team standing wins. Combatants can choose from unique characters like Bloodhound, the tracker who can see recent enemy activity on the map, or Lifeline, a battlefield medic who can shield teammates and bring them back from the brink of death. Balanced squads and teamwork are critical, as each Legend is easy to pick up and learn but challenging to master. For the latest Xbox news, rumors and updates, upcoming Xbox One games and more, follow @XONEHQ on Twitter, Google+, Facebook and YouTube, download the free XBOXONE-HQ.COM app for Android and until next time, game on! 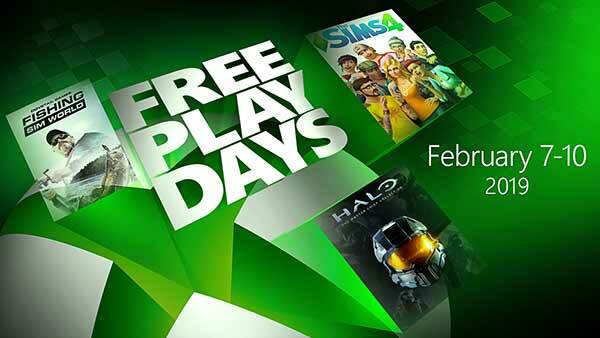 Xbox Live Gold members can play The Sims 4, Halo: The Master Chief Collection, and Fishing Sim World for free as part of this weeks Free Play Days event. The event begins on Thursday, February 7 at 12:01 a.m. PT and runs through to Sunday, February 10 at 11:59 p.m. PT. Start by finding and installing the games here. To download on console, click on the Gold member area on the home dashboard. The games will also be available at a discount (see below). The Master Chief Collection brings the legendary journey of Spartan 117 to the Xbox One. Relive the Master Chief’s saga with a single integrated experience that spans four classic games from Halo: Combat Evolved through Halo 4. Or, take the fight online and battle others in Halo’s legendary multiplayer from all four games. 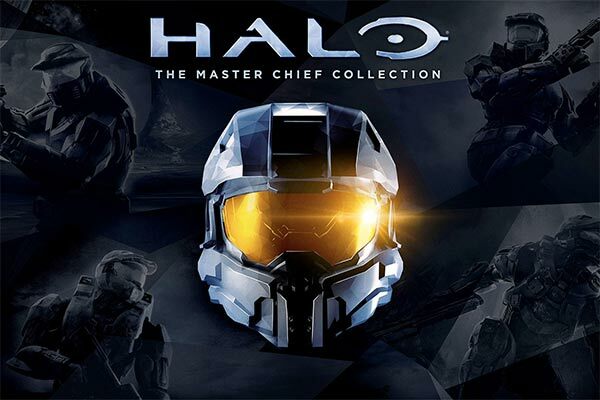 Whether you’re a new recruit or a Halo veteran, The Master Chief Collection offers the best of classic Halo all on the powerful Xbox One platform. If you’ve been tempted to pick up The Sims 4, now’s the time! Create unique Sims by choosing their distinct appearances, personalities, senses of style, and life goals. Design and decorate the perfect home, down to every last throw pillow. Develop your Sims’ relationships, pursue new careers, and create and control the moments of their lives. Explore beautiful worlds with realistic environments and travel to neighborhoods, meeting other interesting Sims along the way. How will you play with life? Catch that fish of a lifetime on stunning lakes from around the world. The thrill of driving your boat across vast US lakes to the adrenaline from bass trying to escape your lure. From the tranquil beauty of famous European carp and predator venues to the sound of a screaming bite alarms, Fishing Sim World has your angling covered. Fish the way you want using hundreds of items of licensed equipment and take on the 25 different species of fish. 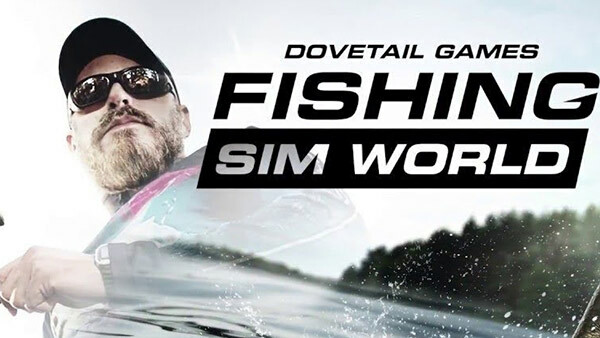 Unleash your competitive streak in our online multiplayer or the Dovetail Fishing league where you can take on players from all around the world! For more Xbox news & rumors and an always updated list of amazing games coming to Xbox One this year and beyond, follow @XONEHQon Twitter, Google+, Facebook and YouTube, download the free XBOXONE-HQ.COM app for Androidand until next time, game on! Realtime Worlds open world action-adventure video game 'Crackdown' is now available to download for free! To celebrate the launch of Crackdown 3, Microsoft are giving away the original Crackdown for free! Play it on your Xbox One with Backward Compatibility. Crackdown pushes the action-driving hybrid genre into the next generation with the first ever truly 3-D playground. Gamers will enforce justice by any means necessary in Pacific City, a crime-ridden urban center built to encourage the exploration of the full width, depth and height of the city. Coupled with highly innovative co-op gameplay — a genre first — and an interactive world where nearly anything can be used as a weapon, gamers will be able to create a volatile cocktail of judicial oppression as they clean up the streets. 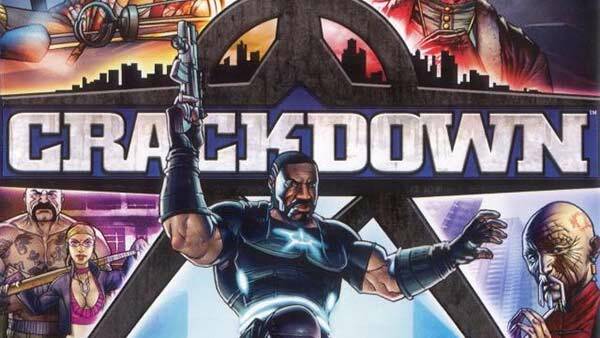 Click here to Download Crackdown for Free! The in-game menu might not offer these, but there are free DLCs for Crackdown as well. Make sure to download the Free-For-All pack too, as that gives you access to cheats, some new vehicles, and the ability to resurrect enemies to fight them again. Developed by Real Time Worlds and published by Microsoft Game Studios, Crackdown is available to download for free today! Check out the complete list of Crackdown achievements. For more Xbox news, rumors and updates, upcoming Xbox One games and more, follow @XONEHQ on Twitter, Google+, Facebook and YouTube, download the free XBOXONE-HQ.COM app for Android and until next time, game on! Microsoft has announced that all Xbox Live members without a Gold membership can play friends online for free during this weekends Free Play Days For All event from January 31 to February 3 on Xbox One. Don't play alone this weekend. Play online with your friends on Xbox for free. Squad up and jump into FORTNITE and play with friends now. Squad up and battle it out in exciting games such as FORTNITE, as multiplayer will be unlocked this weekend for any game that you own. This is a great opportunity for our fans to experience the most-popular benefit of an Xbox Live Gold membership; playing together with friends or making new ones on the most reliable and advanced network. These offers are only available for a limited time, so do not wait any longer, share the news with your friends and start playing now and all weekend. The multiplayer service will be unlocked on Xbox One during the Free Play Days For All event, which will take place on Xbox Live from 0:01 A.M. PT on 31 January 2019 until 11:59 P.M. PT on 3 February 2019. Open only to users with a Free account on Xbox Live (a Gold membership is not required to participate). 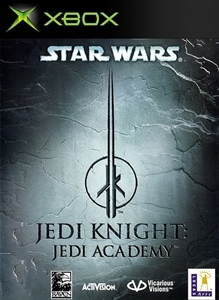 Available in all Xbox Live countries, www.xbox.com/live/countries. Multiplayer unlock not available in all games. Games sold separately. See www.www.xbox.com/live. 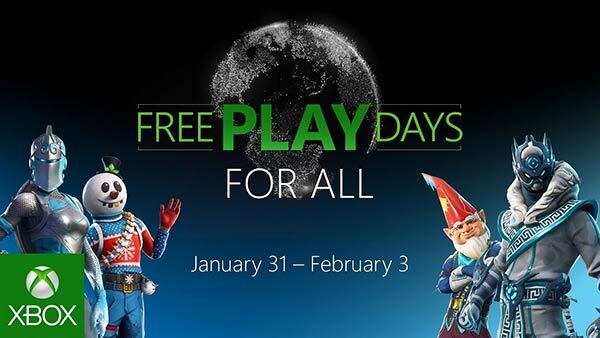 For more information on the Xbox Free Play Days For All event, check out the official xbox.com site. Bigben and Kylotonn announced that 'WRC 8', FIA World Rally Championship (WRC) 2019 official video game, will be available in September for Xbox One, PlayStation 4, Nintendo Switch and PC. WRC 8 will offer a selection of WRC 2 and Junior WRC drivers as well as a few historic models to be revealed very shortly. Talent and concentration will be needed to overcome more than 100 special stages taking place in 14 countries. Upgrade your car to unprecedented new levels of detail and develop your team in an in-depth and intense career mode. A new dynamic weather system has been developed to add random elements to the driving experience, but also to increase realism in the game. Managing the weather is a real challenge for the drivers: modified grip, car settings adjustments, tire selection optimization, weather team relationship to ensure the best tips and information on the latest conditions. More than mere visual effects, climatic conditions become crucial, especially in the management of your career. Watch the first WRC 8 video showcasing the pre-season tests of a Ford Fiesta World Rally Car at Rallye Monte-Carlo and the brand-new Rally Turkey, then browse through the first screenshots for WRC 8. 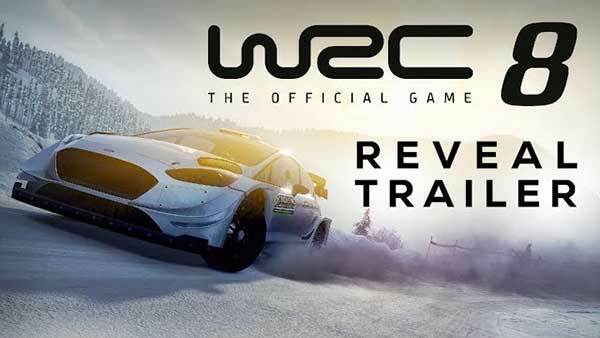 WRC 8 will be available in September 2019 on Xbox One, PS4, Xbox One, Nintendo Switch and PC. For more news on WRC The Official Game and the latest Xbox news, rumors and updates, upcoming Xbox One games and loads more, follow @XONEHQon Twitter, Google+, Facebook and YouTube, download the free XBOXONE-HQ.COM app for Android and until next time, game on! Xbox Live Gold members receive four new free games - two on Xbox One and two on Xbox 360, during the month of February. 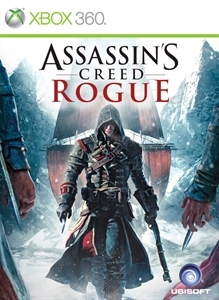 February's 2019 Games with Gold lineup for Xbox One includes: Bloodstained: Curse of the Moon and Super Bomberman R. For Xbox 360 owners (and through Xbox One backward compatibility), February kicks off with Assassin's Creed Rogue, followed by Star Wars Jedi Knight: Jedi Academy. February's lineup provides over $89 dollars in value and up to 3000 in gamerscore. 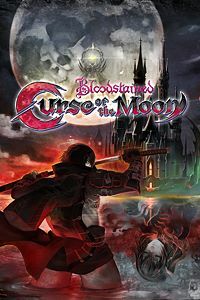 On Xbox One, Xbox Live Gold members can download Bloodstained: Curse of the Moon (normally $9.99 ERP) for free during the month of February. 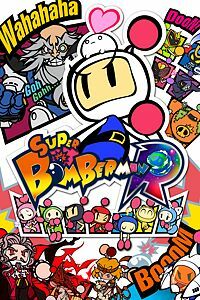 SUPER BOMBERMAN R ($39.99 ERP) will be available as a free download from February 16th to March 15th. 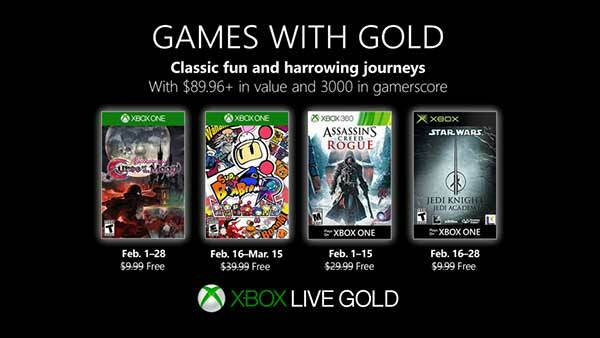 Click here to see January's Games with Gold. For the latest Xbox Games with Gold news, follow @XONEHQ on Twitter, Google+, Facebook and YouTube, download the XBOXONE-HQ.COM app for Android and until next time, game on!